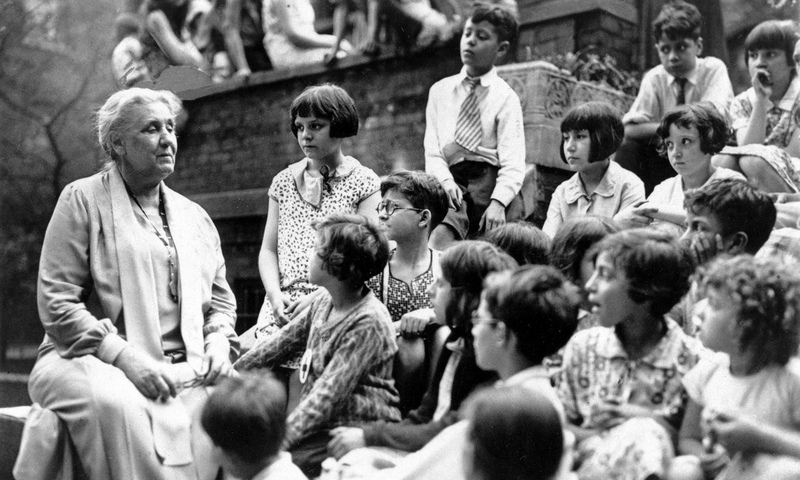 Over the last year, the Jane Addams Papers Project has been working on expanding audience participation by creating National History Day guides and lesson plans.  This effort was funded by a grant from the New Jersey Council for the Humanities. I worked with Christina Dwyer and Mike Romano, Ramapo College teacher education students who work at the Jane Addams Papers. We were eager to apply what we learned in our courses and at the project for use in our classrooms. National History Day is a year long project that gives students the opportunity to research historical topics and format their research in the form of a website, documentary, exhibit, paper, or performance. Students compete in regional, state, and national competitions. Our team had never worked with National History Day before creating the guides, but having the opportunity to create materials for NHD has exposed us to all the great opportunities for students that come from this program. Each guide focuses on a National History Day theme, which rotates year by year. For each theme, we selected topics on Jane Addams that best fit the theme. For example, the first guide we developed focused on the theme “Conflict and Compromise.” Our topics for that guide were Addams’ relationship with Theodore Roosevelt, woman suffrage, and child labor. 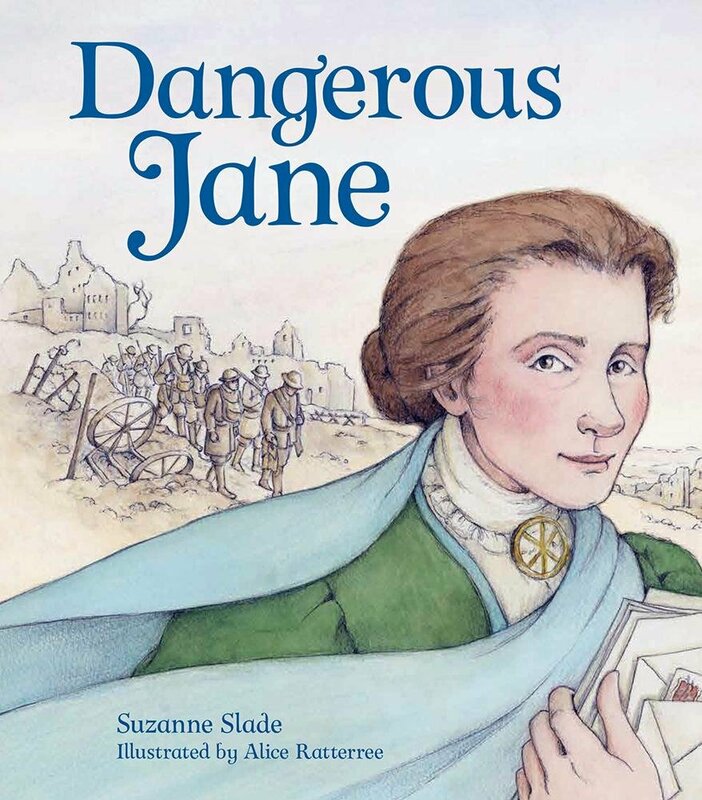 We researched each topic, creating background information, selecting and highlighting primary and secondary sources, and creating links to searches in the Jane Addams Digital Edition to offer students a jumping off place to begin their research. NHD Guide for 2019’s theme. Each guide took about two months to create and revise. We started by brainstorming the different topics that fit each theme and selecting the best topics. Each guide has about four to six topics. To ensure that a topic is viable, we made sure that there were enough published primary sources in the Jane Addams Digital Edition, which limited us to 1901-1913. As more materials are published, we’ll amend the guides to add Addams’s efforts during World War I and her later work for peace and social justice. We also made sure that we could link high quality secondary sources. 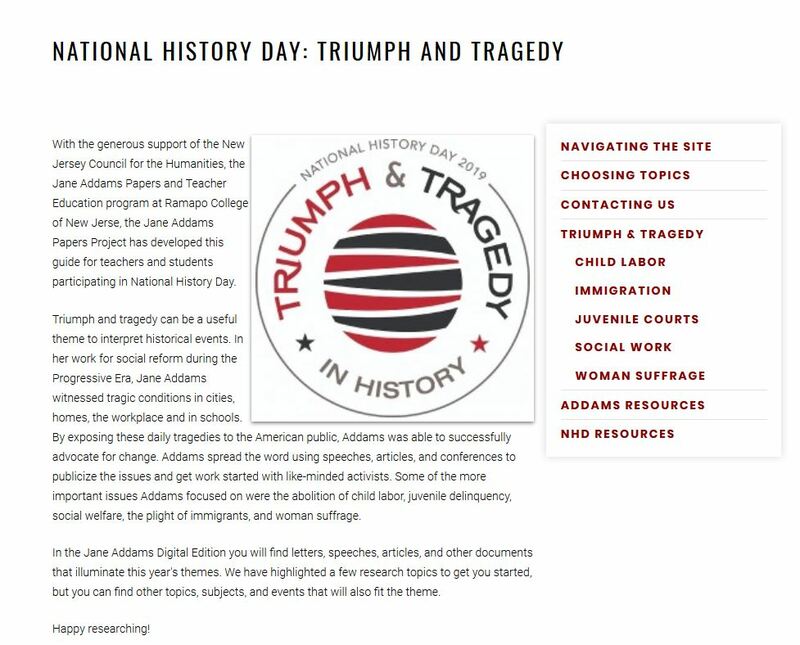 We also highlighted related Jane Addams topics for students to explore in each NHD theme. We worked collaboratively, using Google Docs, and then transferred the guides to Omeka exhibits when they were ready to go. 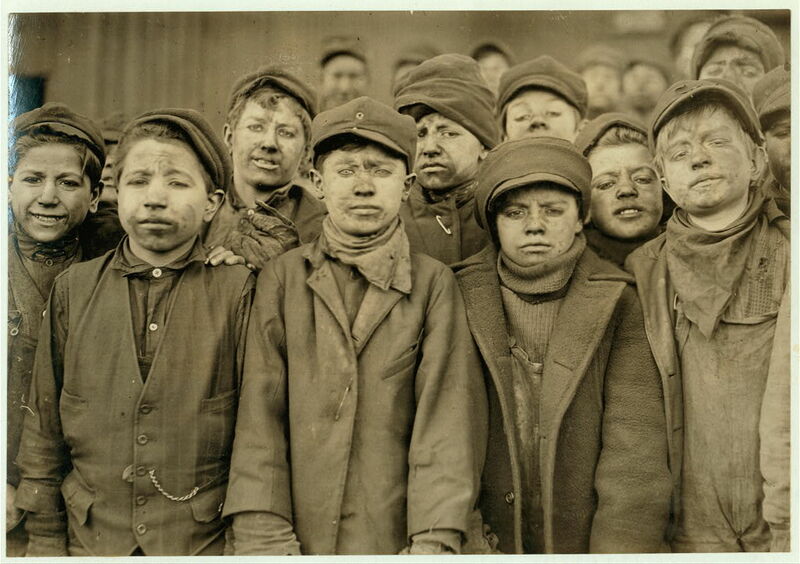 One of Lewis Hines’ photographs of child laborers. Creating lesson plans based on Jane Addams materials has been an excellent opportunity. Because Addams was involved in almost every major social movement of the Progressive Era, the documents in the digital edition are key resources for teachers looking to add more primary sources to their curriculum. When we conceptualized lesson plans, we placed the documents at the center of each lesson and we encouraged teachers and students to use the digital edition. We wanted them to go beyond a simple analysis of documents and have teachers incorporate different levels of Bloom’s Taxonomy. 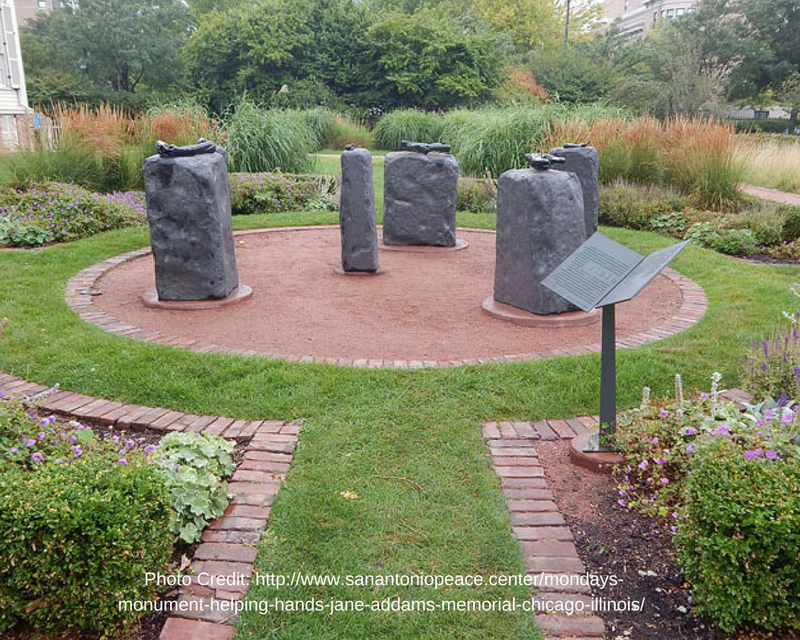 Because the Jane Addams Digital Edition does not have videos and photographs, we found videos and photographs to supplement the documents which made the lesson plans more interactive for students. Try out our lesson plans and our guide to this year’s National History Day: Triumph and Tragedy. Whether you are a student or a teacher, we would love to hear your feedback and have provided survey links at the end of each guide.  If you would like to work more closely with the Jane Addams Papers Project on reviewing and improving the guides, please contact the editor, Cathy Moran Hajo, at chajo@ramapo.edu. Renee DeLora was a editorial assistant at the Jane Addams Papers from 2015-2018. A history/teacher education major at Ramapo College, she graduated in 2017 and is currently teaching at Bloomfield Middle School.